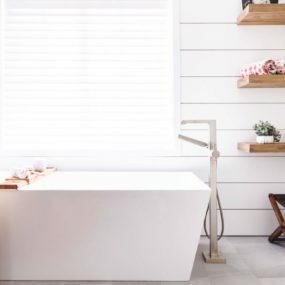 Subway tiles have always been known for coming in multiple different shades, finishes and even pattern waves- making them a top favorite for different areas of the home. However, they are most popular in the kitchen and the bathroom, which is perfect when you want to take your bathroom to new heights of home décor. The following bathroom subway tile ideas are so enchanting you will want to run to Home Depot and find a new style for your most used room of the home. The dark grouting adds a second layer of dimension that makes complete sense in a room. There is something about it that creates a beautiful display with a hint of something extra. Topping our guide is traditional, classic white tiles with dark grouting. There is just something about this look that screams classic. Having this contrast also brings a bit of an edge as you have the classic touch with a hint of modern in the most subtle manner. A win-win for all. Mosiac tiling allows you to consider a pattern display that makes sense to the room in a cohesive yet modern kind of way. 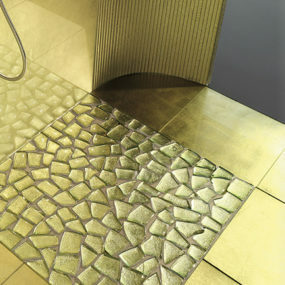 For those that want to branch out in a more fun way and add a touch of color having a mosaic touch is the way to go. Whether you want to keep your bathroom with little to no color or with hints of color, having a mosaic appeal makes the room feel grand. Consider adding hues of blue, purple, black or a blend of these hues for a balanced touch. 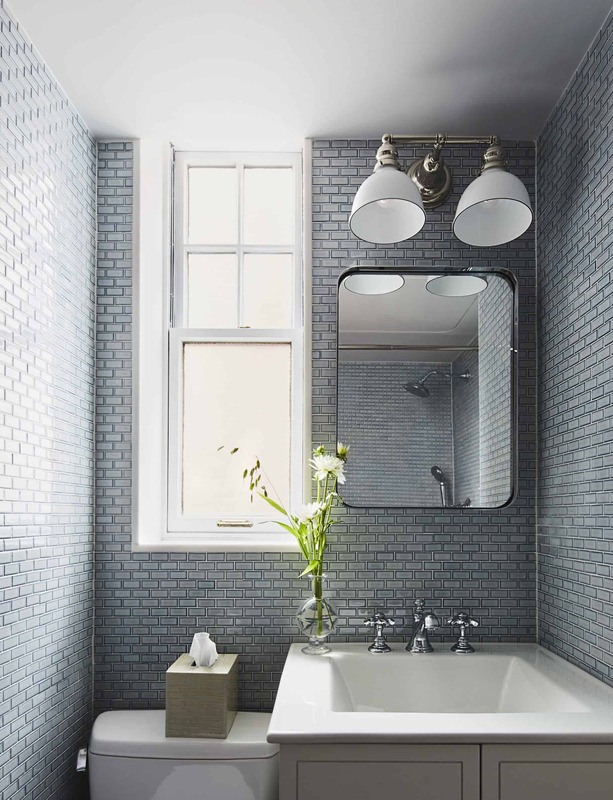 Whether you have a large or small bathroom, adding gray tiles is always is a good idea. It adds a little hint of edge without many decorative elements needed. 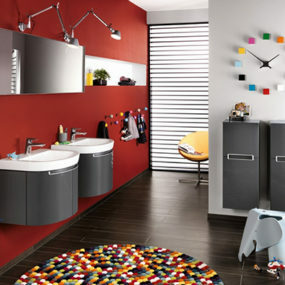 Gray comes with a versatile feel that simply makes sense, regardless: of how your bathroom is styled. A darker gray hue works well for a bathroom that needs a little bit of edge to come back to life, whereas a lighter hue will do well in a larger setting. Furthermore, gray comes in a large range of hues making it perfect for any size bathroom that is missing the slightest hint of non-traditional with a traditional approach. There’s no better place to create a contrast than in the bathtub. 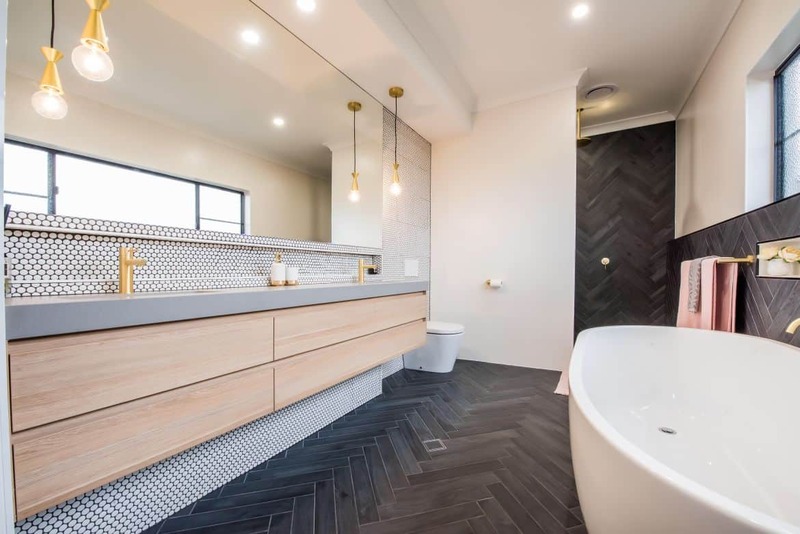 There is just so much extra room that you can add a pattern in that it creates that multidimensional appeal in the bathroom regardless of its size. Insert a contrasting tile display to break down your traditional white tiling. If you have an all-white bathroom this is perfect to bring a hint of modern right where you want/need it. 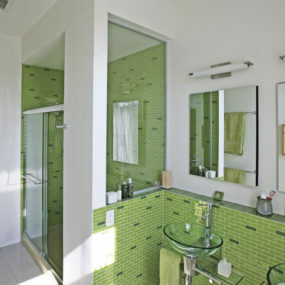 You might want to add color, or a textured set of tiles to further brighten the room in a more unique manner. 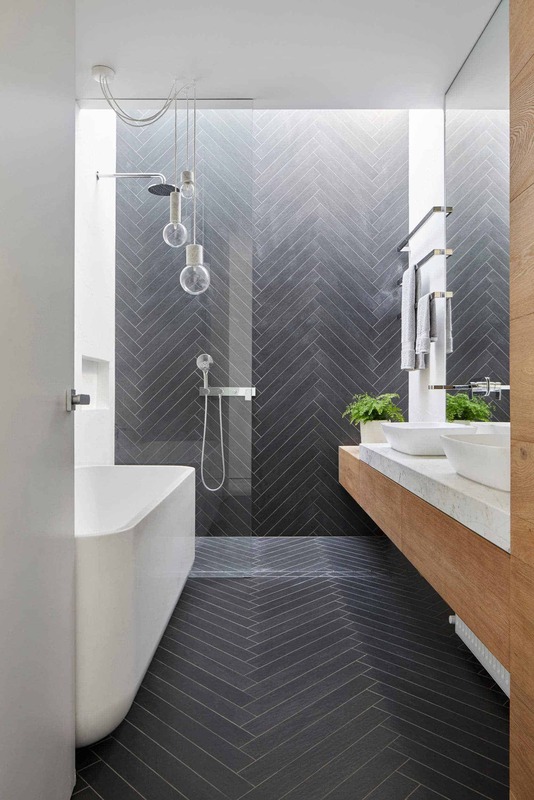 If you are truly trying to make an impact in your bathroom with black and white tiles, consider having a minimal yet repetitive pattern that flows throughout. When we think of tiling most of us only consider the walls, or the shower, however, if you truly want to bring a unique yet minimal touch adding floor tiling that flowers with your walls is the way to go. 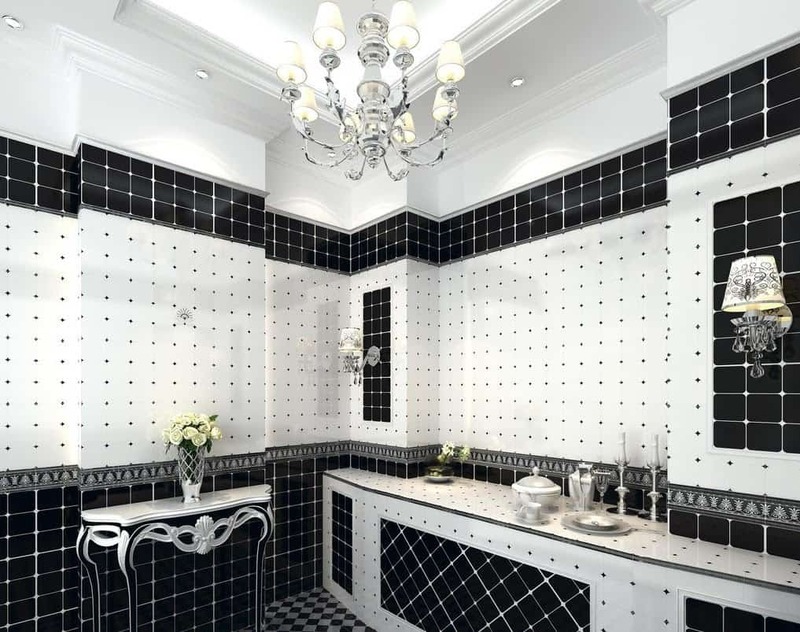 Black and white tiles are not only a minimal pairing, but they bring a bit of charm that explodes throughout the room. The key to this pairing is having fun with it, you can have two contrasting walls or even one shade for your walls and another for your floors. When you are working with such a bold color like green you want to go big or go home. The idea is to have a daring approach that screams daring from the moment you walk in. With the weather getting warmer, green has become quite appealing. 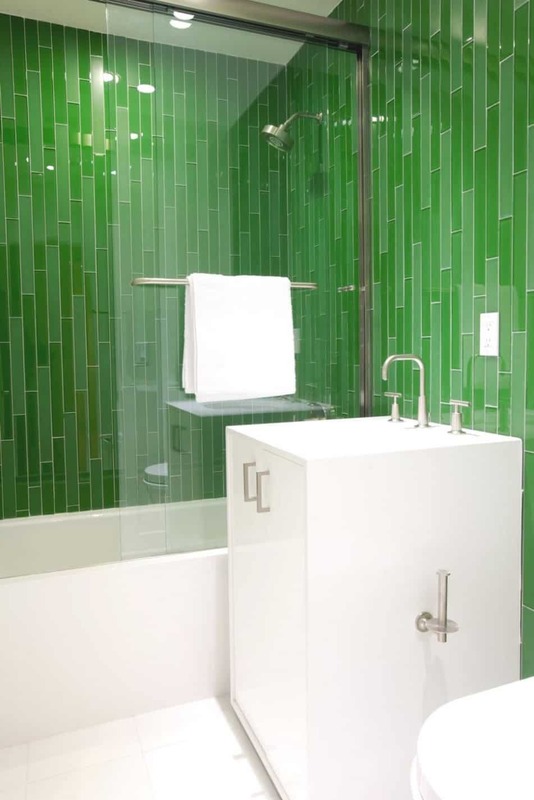 Add a green tile display for a daring touch that screams warmer weather. 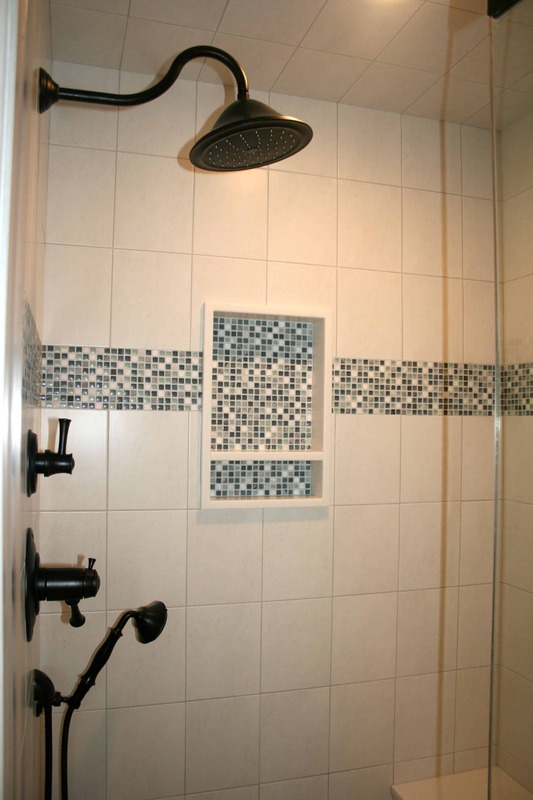 Consider adding a unique shower head for a natural approach that still makes sense in the room. 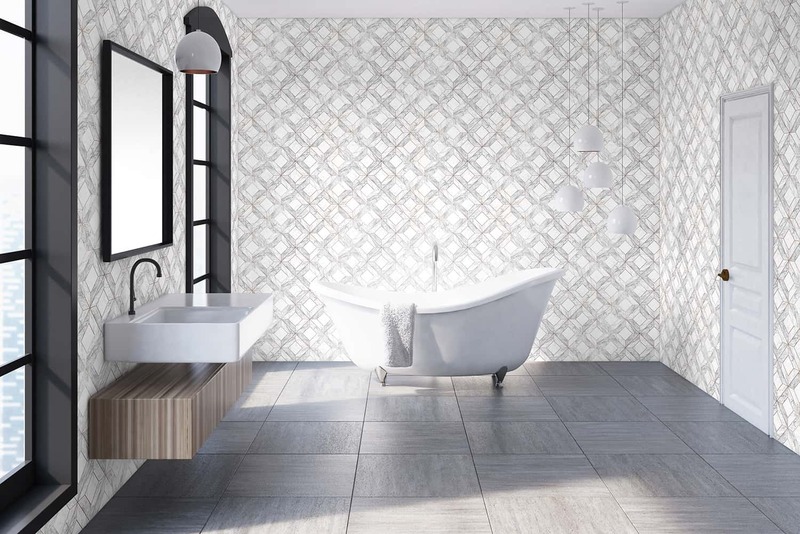 When you are pairing your wallpaper to your tiles consider having the wallpaper on the walls and the tiles on the floor for a put together approach that makes sense yet doesn’t take away from the room. 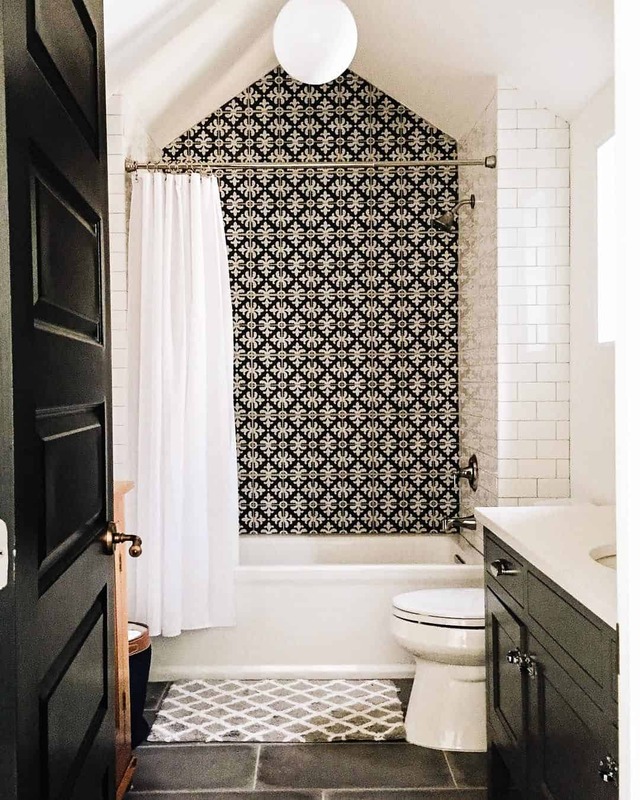 If you already have subway tiles in your bathroom and do not want to change it around yet want to add a little something new- adding wallpaper is the way to go. A mix of stripes, florals, and even rectangle is not as overwhelming as you may think, it actually provides a fun little twist with just the right amount of appeal. 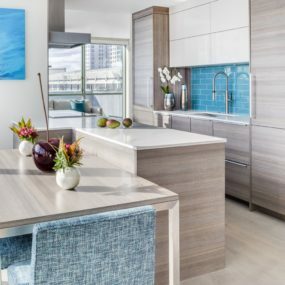 Wood just adds the right amount of texture while being one of a kind and unique all at once. For smaller bathrooms consider a blond wood, whereas for a larger bathroom consider a mahogany hue. 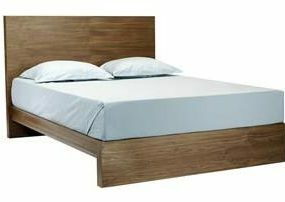 When it comes to simplicity a hint of wood is the way to go. 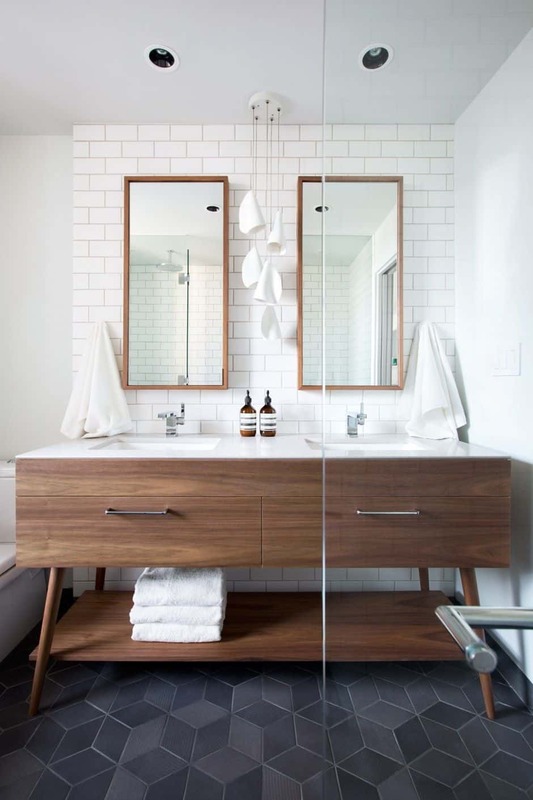 Consider a wooden vanity to complete your new look. The natural touch paired with a colorful tiling or simple white will add warmth to the room with little to no additional effort needed. Slates are great when you want a more modern approach yet want to keep your decor put together and fun. While we did speak on shades of gray there is something a bit different about a slate hue. If you have been contemplating adding a porcelain hue or even marble stop everything and go for slate. Slate is powerful yet subtle at the same time making it a game changer that makes sense. The color change will add that daring subtle approach. 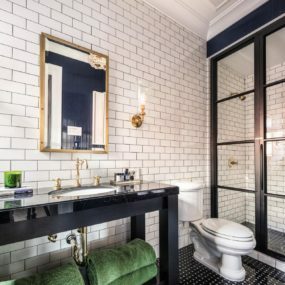 Simple white tiles with dark grouting are perfect when you have an industrial decorating style because it allows your decor to make a big statement while still being a unique display. 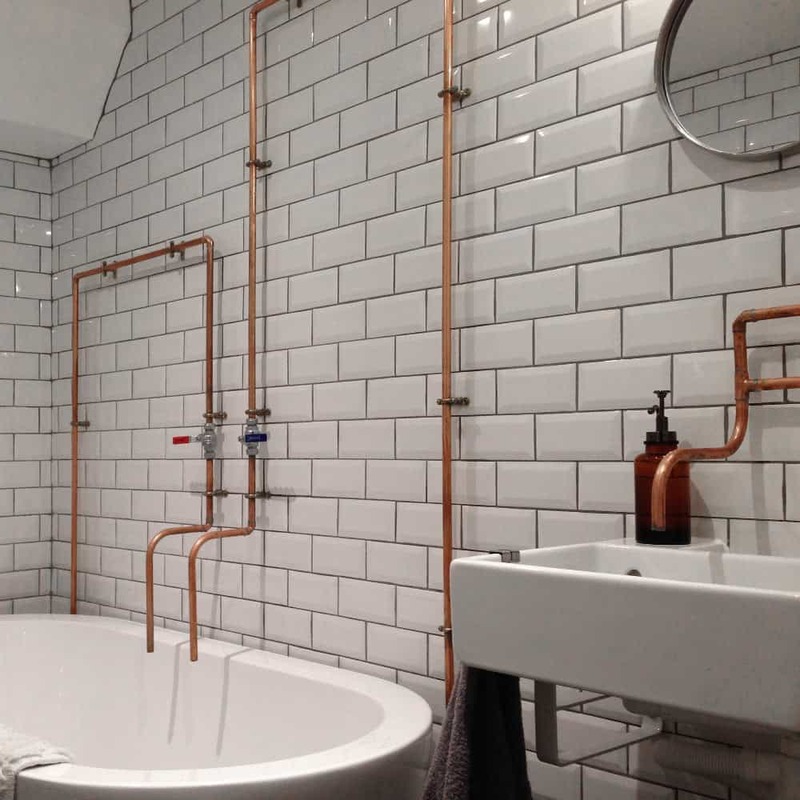 When you want to take your bathroom to the next level, consider an industrial approach. Add a unique sink with industrial light fixtures to complete the look in an overall manner. The idea is to have the room feel industrial in a unique yet with an industrial manner. You want to have white tiles in order to make the room feel as industrial as possible. Keep your pattern, minimal for a sleek and clean display that makes sense to the room and your decorating style. 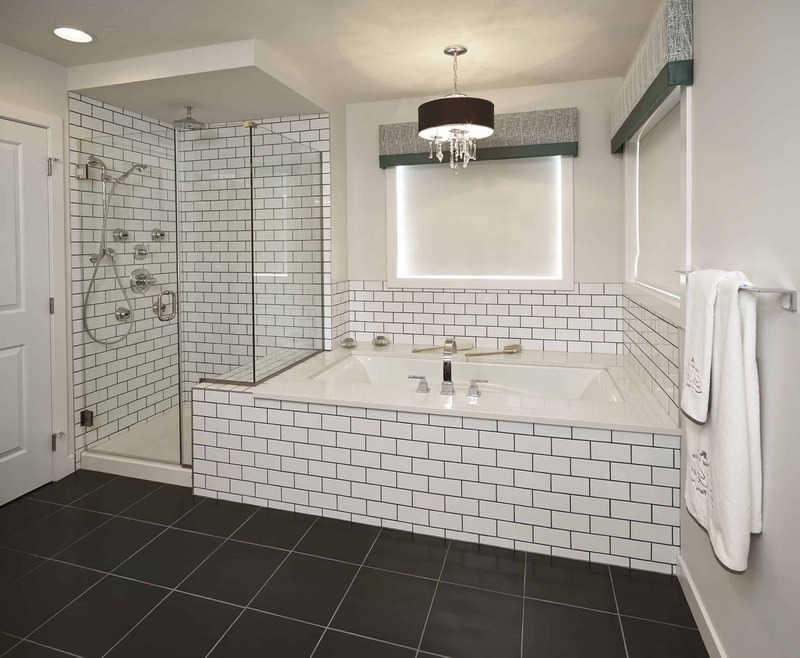 Subway tiles are great for creating patterns that make the room feel grand. The ability to create a unique custom, display comes from the tiles being versatile and unique. Consider creating a display that makes the room feel bold and catches your eye all at once. 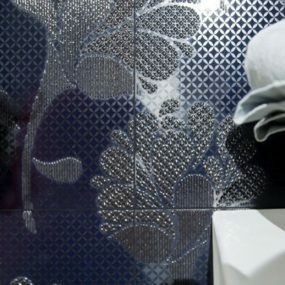 Which of these enchanting bathroom tile displays is your favorite? Share with us below.